Beer reviews and articles; In that order! Your eyes do not deceive you; I have, in fact, returned. No, it's not because my new venture isn't working out, which it totally is! It's actually because I got some new beers to try out. I'll be looking at a couple beers from Fair State Co-Op, who were nice enough to donate some samples to try out as part of their new release series. Besides, I did say I would leave the keys in the ignition, didn't I? The first beer I'll be looking at is their Pilsner, which is simply called Pils, which is a SMaSH (Single Malt & Single Hop). It's a new canned release from the brewery and it is one that I haven't had yet. Since spring has officially just begun, 'tis the season for lighter beers. Appearance - Pale yellow color with a high amount of visible carbonation. The head is fairly foamy and there's a decent amount of lacing retention along the sides of the glass. Aroma - I'm getting some pilsner malts and some bitter hoppiness. I'm also getting some lager yeasts as well. Taste - Getting some mild bitter hops upfront with some pilsner malts and lager yeasts in the middle and back of the palate. The aftertaste is pretty dry save for some mild yeasts. Right now, I'm still building the website but this is where you'll find me once it's up and running! Now....it's certainly been a fun past four years and the countless beers that have come with it. However, after much thought and deliberation, I have decided to call it quits as far as beer reviewing is concerned and focus on my new travel website as well as my career with graduate school wrapping up here in the next few months. I had originally planned to cut back on reviews and try to balance out the two websites but after a lot of soul searching, I decided that it just wasn't a feasible option. 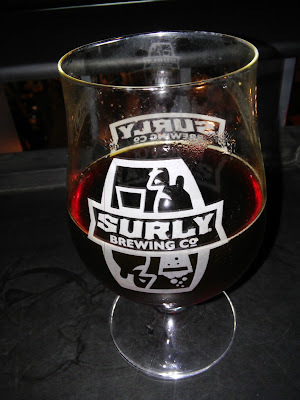 This wasn't an easy decision by any stretch of the imagination since this blog has played a huge role in my life these past few years: From its humble beginnings in my basement after a long day at work, to the front lines of the Minnesota craft beer scene. Now with that said, I still intent to write about craft beer from time-to-time with my new website when I go to visit new places. I also intent to keep this website up & running for archival purposes and............in the event that this new venture of mine doesn't quite pan out the way I would like it to. I will also be maintaining my Twitter account under a different handle but my Facebook page won't be getting any more updates and I intent to shut it down in the near future and focus my energy on building a new Facebook page. And as always, drink good beer! A couple weeks back, I posted an article about how beer writers can avoid burnout and that still holds true. However in light of recent developments & events in my life, there's going to be some changes made to how I run this blog as well as the future of this website as a whole. Before I continue, I wanted to let everyone know that I will not stop writing about beer but with everything that has been going on in my life, I have decided that change is needed. 2) From a health standpoint, I've gained a bit weight and I'm at a point where I can't say that I'm happy with where I'm at. Since I've got a couple vacations coming up, I want to work on what the kids call a "Beach Bod" and just getting in better shape in general. The last reason, however, is an idea that I've been kicking around for the past six months, and since I won't be dedicating as much time to this blog (due mainly to the above two reasons), I have decided that I want to focus some of my energy into this idea. The thing is I really enjoy writing and one of my other passions is getting out and exploring, which is why I am excited to announce that I will be starting up a new blog dedicated to travel. My intent is to focus on destinations that are both local and far. The idea would be to start small (local) before branching out to more elaborate ventures like California, Germany, Italy, etc. As for the future of this blog, I will be doing beer reviews but nowhere near as many as I post right now. I also want to put a greater focus on visiting taprooms since I've gotten a ton of feedback regarding those posts. These changes will be immediate. For the travel blog, I'm still working on a name, a format as to how I want to present content, and of course, hosting. I will post more details as I move forward with it. As always, thank you for reading your continued support. Well I've finished up my Georgia craft beer package and now I'm moving on...to another one! This time, I have a beer mail from Oklahoma that I got for a Bell's Beer package. So to start things off, I'm going to take a look at Little Blue Pils from Roughtail Brewing, based out of Midwest City, OK. The label itself is kind of cleaver, with the music pairings for this beer include: You Shook Me All Night Long by AC/DC, Let's Get It On by Marvin Gaye, and My Neck My Back by Khia. The tagline proclaims "Say Goodbye To A Reptile Dysfunction" and it goes on to say that there's some "stiff competition" for the attention of craft beer lovers and that this beer will make your palate "rise to new levels of excitement and will satisfy you for longer than 4 hours." Appearance - Fairly clear yellow color with a mild amount of visible carbonation. The head is nice and foamy and the lacing is also quite abundant. 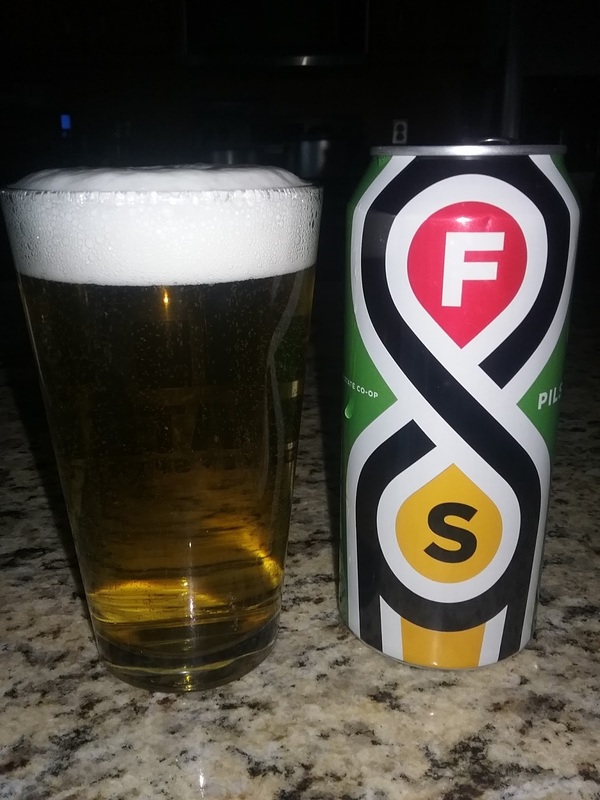 Taste - Pilsner malts and lager yeasts on the front of the palate while the back opens up to some mild but noticeable citrus hops with just a touch of melon. The aftertaste is on the drier side, save for some light lager yeasts and citrus sweetness. I can't really say this......excites my palate tenfold, but what we have here is a solid pilsner and one I can see being a crowd pleaser at the very least. As such, it certainly doesn't hurt to check this out as it's got a good flavor and a rather crisp feel. So originally I was going to start reviewing my Oklahoma Craft Beer Package but I've been getting a few requests for this beer for a while now. That's not terribly unusual, but what sets this apart is that someone in my MBA cohort requested that I review this beer; The things I do for friends. I give to you Bud Light Lime, a beer that I never thought that would be featured on this blog. I recall last summer when I was in Miami Beach at this beachside patio bar with my wife, I was sipping on some Funky Buddha while she drank her Miller. Suddenly, these promotional models wearing Bud Light Lime Bikinis (which are totally a thing), were going around the bar offering free bottles of the aforementioned beer. When they came to our table, I politely declined but with the other bar patrons, it was a resounding hit. Appearance - Clear pale yellow straw color with a high amount of visible carbonation. The head is fairly thin and fades to a white ring along the sides of the glass. As for the lacing.............well, there's none! Aroma - Cereal grains, cardboard and skunkiness, all encompassed by a mild lime sweetness. Taste - Mild lime flavor that encompasses the flavor, which consists of light cereal grains and light cardboard with no aftertaste to speak of. In fact, there's not really much of a flavor here at all. You know, I was expecting Bud Light Platinum caliber horrible, but it's just merely bad. Sure, it's skunky in the nose and gives a terrible first impression but when everything is said and done, this is just a pretty bland beer that is devoid of pretty much any sort of flavor, mainly due to the fact that the lime flavoring cancels out anything truly awful on the palate, which may or may not be the intent. 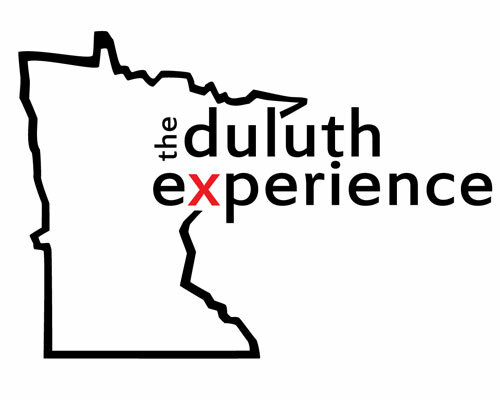 The Duluth Experience, who I've featured many times on this blog, have a new partnership they'd like me to share with everyone. Being an avid cyclist myself, I figured that this is most certainly worth sharing. Duluth, MN – The City of Duluth has quickly emerged as a world-class mountain bike destination and The Duluth Experience is hitting the trail to promote Duluth on the European stage. In partnership with Visit Duluth, The Duluth Experience will attend two large conventions designed to connect Dutch and Belgian travelers with unique cycling and hiking destinations around the world. This year The Duluth Experience will promote its seven-day, all-inclusive mountain bike adventure package that showcases The Duluth Traverse – a purpose-built mountain bike trail that recently earned designation as a Gold-Level Ride Center from the International Mountain Bicycling Association. Grandmaison will promote The Duluth Traverse Mountain Bike Adventure at the two conferences in February – one in Utrecht, Netherlands and the second in Ghent, Belgium. The tour package, which includes everything from airport pickup to hotel accommodations, guided tours, equipment and meals starts this summer. Tanksi adds “The Duluth Experience mountain bike tour package provides a vital link that international visitors look for when booking an outdoor getaway in the US. This essential service is the centerpiece of our international marketing efforts focused in the Netherlands, Belgium, and Germany." The Duluth Experience is a locally owned and operated tour company dedicated to creating fun and educational experiences that connect people to the businesses, places, stories and adventures that define the Northland’s rich natural, historical, and cultural identity. Those who have been reading this blog for a while know how much I admire what The Duluth Experience has been doing for the area and I see this as the next step in getting their name out there. If you haven't been to Duluth yet and want to get a real flavor of the scene (figuratively or literally, depending on who you are), these guys won't let you down. Ah Beer! Such a wonderful thing! It's hard to believe that it'll be four years this April since I first started this blog in my office the day after a particularly long day at work. It has taken me places I never thought I'd go and experiences that I will remember for the rest of my life. It would be wrong of me to say that I don't pay attention to other beer writers and reviewers out there, whose work I've come to admire and it's inspiring to see how enthusiastic and passionate they are about wanting to share their love of craft beer with the rest of the world. A couple weeks back, I had woken up early like I always do, much to my wife's chagrin. Not wanting to wake up our puppy to cause incessant barking, I decided to check my Facebook News-feed while I lay in bed and noticed a new video from Chris Steltz of Beer Geek Nation had been posted. Since I'm a huge fan of his reviews, I plugged in my headphones and started watching and what I heard was quite profound. In the video, he had explained that he had taken a break on account of being burned out from the reviews he was doing and felt like he was doing the same thing over and over again. I was a bit shocked; Somebody who I looked up to and admired for his enthusiasm with every beer he had was admitting to his viewers that it was hard keeping up appearances. However, the more I thought about it, the more his message started resonating with me because, truth be told, I know how that is. There have been times where I've begrudgingly reviewed a beer after a long day at work and really wanted nothing more than just to sit back, relax, watch some Netflix or play some video games. Or that I couldn't bring myself to be excited about writing in general and I see a noticeable difference in quality when I look back at my past reviews, during the times where I just wasn't excited about the beer I had in front of me. With all these thoughts in mind, it's inspired me to come with a list based on my own experiences of how craft beer writers and reviewers can avoid burnout, or worse, quitting writing altogether. I should note that one doesn't need to follow all these tips as it all varies on expertise and personality but if I can convince at least one craft beer journalist out there to keep writing based on the contents of this article, then I've done my job. 1) Visit a Taproom & write about it. Occasionally, sitting in my office and reviewing beer can get rather dull so every once in a while, I like to emerge from my Man-cave and experience they joys of a local taproom. In addition to getting out and meeting the people behind the beer, it provides me with a good amount of inspiration. And if don't want to take notes, then take pictures! Even if you don't necessarily want to write about a taproom, visiting it should at least help remind you why you fell in love with craft beer in the first place. Hell, even make a vacation out of it like I did! This sort of segways in from the last tip but for some reason, seeing the exact place where our favorite libations are made gives me a huge appreciation for beer at large. 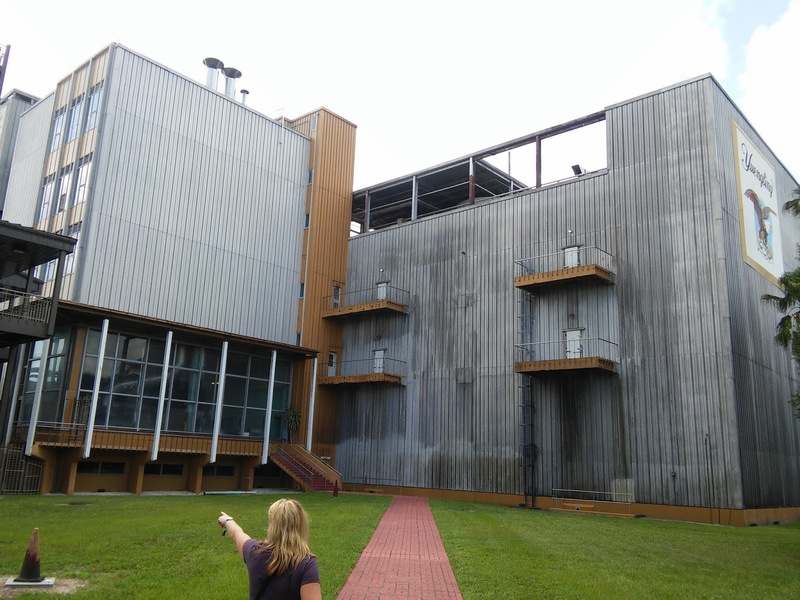 Case in point, when I was in Tampa last summer, me and my wife were deciding what to do before heading to Busch Gardens when she suggested we visit a brewery which she had a hard time pronouncing called Yuengling. When I heard her say this, I didn't believe her but sure enough, their largest production brewery just so happened to be in Tampa. It has an awesome tour and it was an excellent insight into the oldest craft brewery in America. It also happened at a time where I almost was considering giving up writing, but that tour gave me the kick I needed to continue writing once I returned from my vacation. 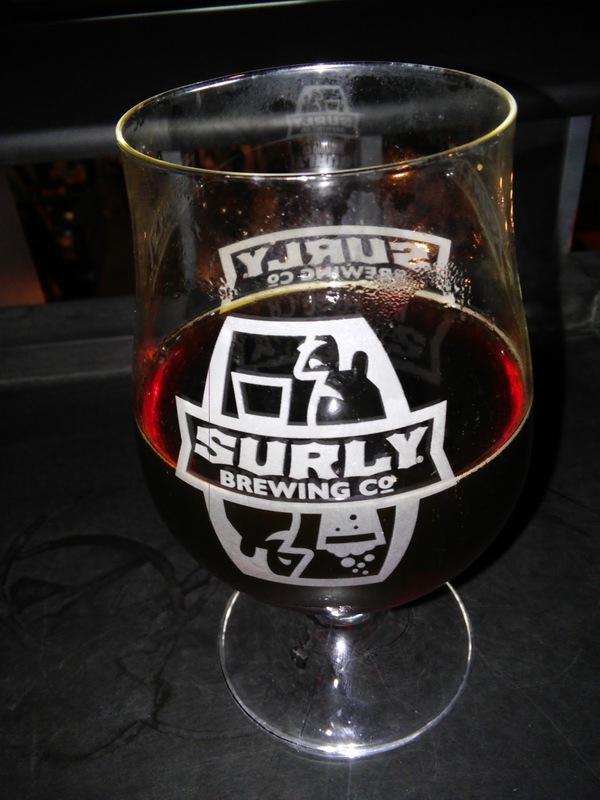 3) Don't feel obligated to write about beer if you're not in the right mindset. A couple weekends ago, we said goodbye to my wife's grandpa, who had passed away a couple days prior. So between that and everything else, I wasn't able to write. Last February, I also had switched careers plus I had graduate school to deal with during that time period and as a result, I wasn't able to do any kind of writing. Since graduate school & work are quite important to me, I had to make some sacrifices and hold off on writing until the dust had settled before I could continue. The point I'm trying to make sure you take care of your personal affairs before you continue writing again. 4) Do a beer mail from somewhere you've never been! There have been a couple of times where I was honestly thinking about throwing in the towel and calling it quits because it had gotten to a point where I was no longer viewing beer reviewing as a hobby but more as a chore and frankly, that's not the way it should be. Every once in a while, I'll go a week without posting in order to gather myself or just for the sake of getting those creative juices following again. So there you have it. My hope is that any beer writers out there who are experiencing some difficulty will take some of this advice to heart. The world of beer writing is a fun one but it's also easier than it looks to experience burnout. As always, thanks for reading! 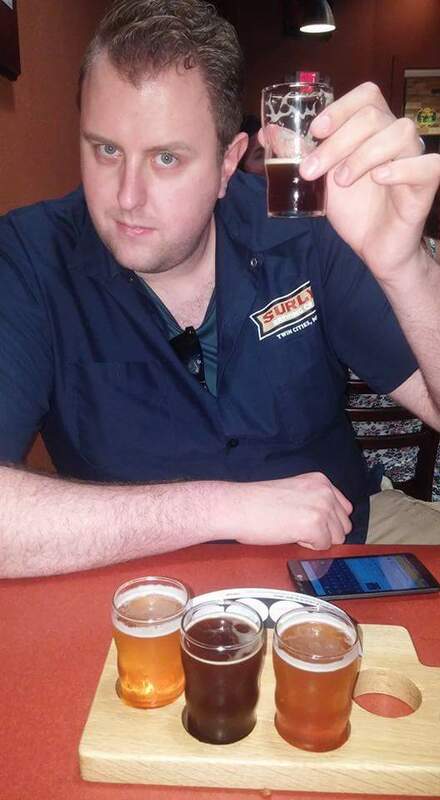 I'm Nick, Writer, Educator and Seeker of all things craft beer. If you have any questions, would like to send me a beer mail or conduct a beer trade, send me an e-mail to nicksbeerblog@gmail.com.